There are lots of interesting race cars out there, but only a few that check most of the boxes on the racer’s list of desirable qualities. In this installment of “Your Next Race Car?” we take a look at why 3 Series BMWs are becoming the next big thing. We’ll discuss this in more detail when we get to classification, but BMW 3 Series donor cars are generally in the $5000 to $15,000 range. That’s a little bit above what you’ll pay for a donor Miata ($3-5k), the basis of the most popular race car. 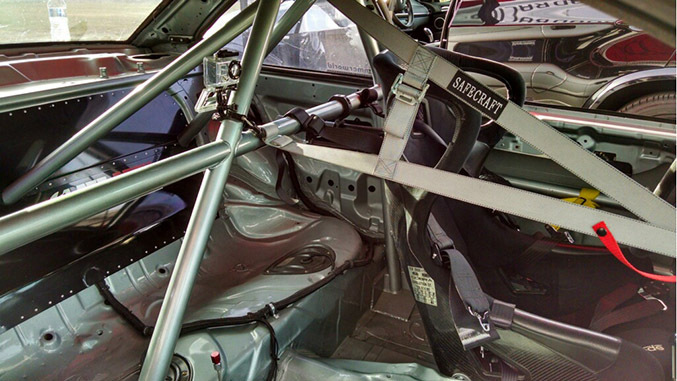 But when you consider that it costs around $15-20k to turn a street car into a race car (cage, seats, fire suppression, harness, wheel, interior removal, some repairs, suspension, tuning, wheels, tires etc. ), we’re really talking about $20k base to build a Spec Miata and $25-30k for a base BMW. That’s more, but not a lot more. Many of you will know that buying a used race car usually comes with something like a 50% discount from what it would cost to build roughly the same car. Of course, the build would have new parts and most used race cars need some repairs, updates or upgrades, but a $30k BMW might be available used for $15k. Make necessary changes and you’re in for $20k. And since BMWs have been getting quite popular, you may be able to find what you need. One problem of course, is that existing BMW race cars run in many classes and states of tune. So unlike Spec Miata, which basically comes in two flavors for one class, you may have to look longer to find a BMW set up for your intended type of racing. NASA GTS2: 14.5:1 weight to power ratio. With a 200 hp engine (at the wheels) and 3000 lb weight, or thereabouts, you have a fun and moderately fast car that requires only modest modifications to an E36 325i or 328i from street tune. BMWCCA Spec E36: You can run a 325i or 328i sedan or coupe here. Engine is basically stock, as are brakes and transmission. The suspension is a specified set of components (except for anti-roll bars which are open). It should be possible to build a car to run here and in NASA GTS2, though you may not be fully competitive. 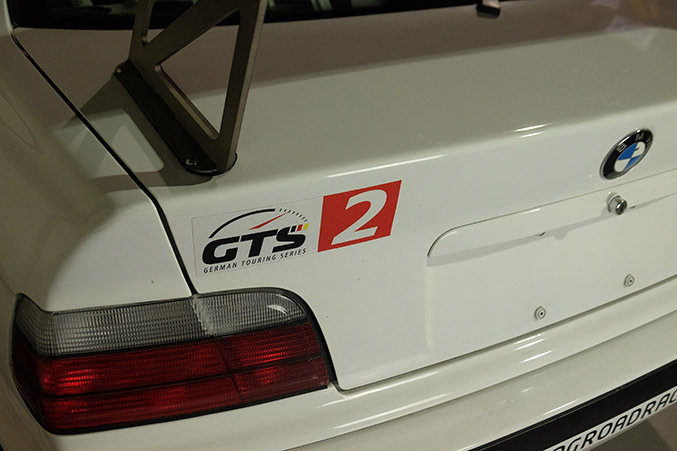 NASA GTS3: With 11:1 weight to power ratio, an E36 M3 works nicely. A 270 whp (about 310 crankshaft hp) stock tune and 2900 lb. weight (which takes some work) could be competitive with some work. 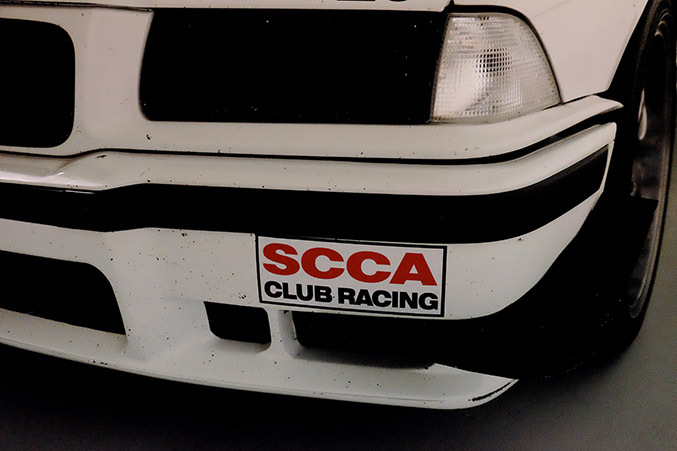 Alternatively, some rather basic modifications to an E46 M3 could fit here (see SCCA T2 below). 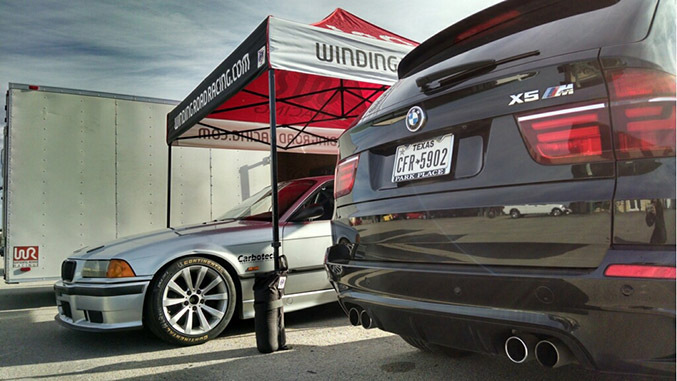 SCCA T2: SCCA welcomes E46 M3 cars to run against Mustangs, Camaros, Cadillacs, Corvettes and Porsches among others. These are moderately developed cars; for example, you can modify the suspension, run paddle shift and add headers. But the engine is basically stock. Your weight, as run, is 3100 lb. The power to weight ratio is similar to NASA GTS3. NASA ST3: One step further in tuning level is ST3, with a 9:1 weight to power ratio. You need about 320 hp at the wheels and 2800 lb running weight (or some similar combination). This class typically runs with non-OEM aero. ChumpCar World Series: Various E30 BMWs run here. The sleeper may be the 318iS with the 138hp M42B four-cylinder engine. But you can also run a 325i. NASA Spec E30: This is basically for 325i and 325iS cars with the M20/B25 engine (others are allowed, but the rules are written around these models). You are dyno limited to 155hp (with weight penalties up to 162hp). Minimum weight is 2700 lb. 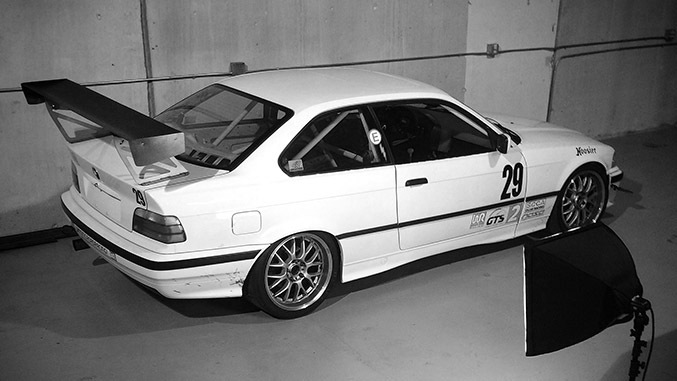 SVRA Group 8: You can run an E30 M3 here. It isn’t on the list, because SVRA (and other vintage bodies) want to check that your car presents well. But a properly prepared tribute car will be welcomed. We’ve run a Winding Road Racing car here, basically in SCCA STU trim and it is quite competitive against 914s and Datsun 510s and other under 2.5L IMSA cars. 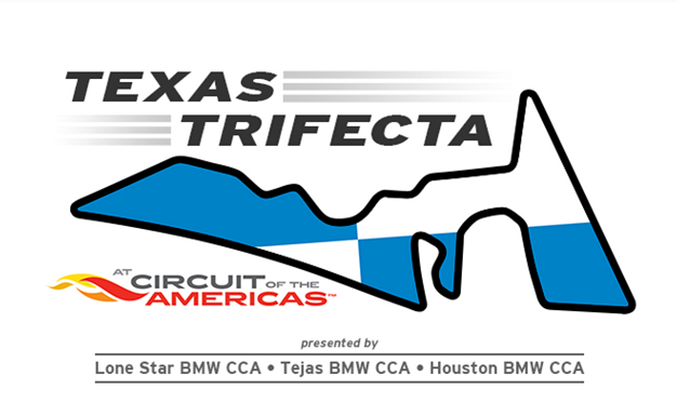 There are many other possibilities, but this gives you good idea of some of the major options.
. At COTA, we figure good SM times are around 2:45. An SCCA T2 BMW should be able to run around 2:31.
. At Buttonwillow, using 13CW as a reference, a good SM might do 2:07 and a NASA ST3 BMW could do a 1:56. Twice the power, with only a little more weight, makes a big difference. Because of these attractive factors (price, places to race, pace) you can expect to have other BMWs to run against in your chosen class. While not as popular as SM, where car counts north of 20 are common, finding 5-10 other BMWs in your class is quite possible.